All projects MUST be submitted to DevPost by 11:30AM on Sunday, April 17. All attendees must agree to and sign the provided waiver upon entry. All attendees are required to adhere to the MLH Code of Conduct. 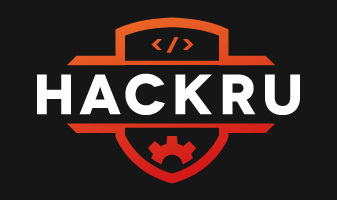 HackRU is a community hackathon intended for collaboration and learning in the student community. We value the participation of each member of the student community and want all attendees to have an enjoyable experience. All participants are expected to show respect to other fellow participants throughout the hackathon. All attendees and speakers at HackRU are required to conform to the following Code of Conduct. The organizing team and Rutgers University reserve the right to enforce, revise, and append these rules. Withhold from demeaning, discriminating or harassing other participants through behavior. This includes but is not limited to offensive comments related to gender, age, sexual orientation, disability, physical appearance, body size, race, religion, sexual images in public spaces, intentional intimidation, stalking, following, harassing photography or recording, sustained disruption of talks or other events, inappropriate physical contact, and unwanted sexual attention. If a participant engages in harassing behavior, HackRU may take any action that deems appropriate, including warning the offender or even expulsion from the event. If you feel uncomfortable or think there may be a possible violation of the code of conduct, please report it immediately. All individuals who report remain anonymous. The HackRU Organizers will work to resolve all incidents alongside MLH representatives.